A one-minute show featuring movie-specific content from Twitter and Vine will be shown on US cinema screens, and is expected to begin this summer. IT’S BEEN NO secret that Twitter wants to be associated with TV, but it could also develop greater ties with film thanks to a deal it struck in the US. The company has struck a deal with the National CineMedia (NCM), a US firm which focuses on cinema advertising, to produce a one-minute weekly pre-roll show featuring movie-specific content from Twitter and Vine. According to Variety, the show will feature a stream of hashtagged tweets from viewers and is expected to begin in mid-2014. NCM is working on the format for the show but promises it will feature “quick moving segments, taking a fun look at the top trending movie and entertainment content on Twitter and Vine.” The segment will run prior to each every movie on the 19,800 screens within NCM’s network. Twitter has become heavily associated with movie marketing – no movie is released today without having a related hashtag – and such a show would help develop the association between the two. The show is currently looking for an sponsor to commit to a year-long deal, but will approach potential companies once it develops the format. It will also distribute the segment through Twitter Amplify, which pushes video content on the site and has a number of TV networks and media companies as partners. 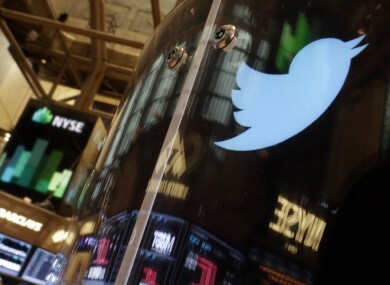 Email “Twitter prepares for its US cinema debut with mini-movie show”. Feedback on “Twitter prepares for its US cinema debut with mini-movie show”.